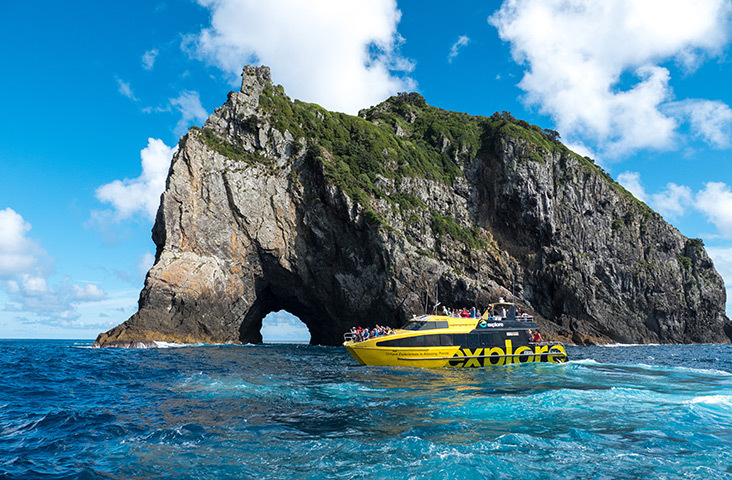 The Bay of Islands serves up fun and adventure, and of course, jaw-dropping natural beauty. It also offers you a fascinating and historically important window into the early days of European colonisation, as well as Maori history. With so much on offer – where do you start? Well, three days isn’t long but it’s still long enough to get a taste of some of the top sights and activities at our doorstep that include nature, some history, and a splash of outdoor adventure. We’ve assumed that you’re happy to base yourself over-night in or near Paihia, the epicenter of the Bay. We hope you have an intermediate fitness level and an adventurous spirit for “getting amongst it”, as they say around here. For one day you’ll need a car. You can hire one here. The activities we’ve chosen can be done any time of the year, as winters are really mild. But it can rain anytime, so we’ve also provided wet weather options for those who don’t want to get their Tevos wet. Unless it’s been a tiring ordeal traveling the day before, we recommend getting up at the crack of dawn to make the most of daylight hours and the beauty of the morning. 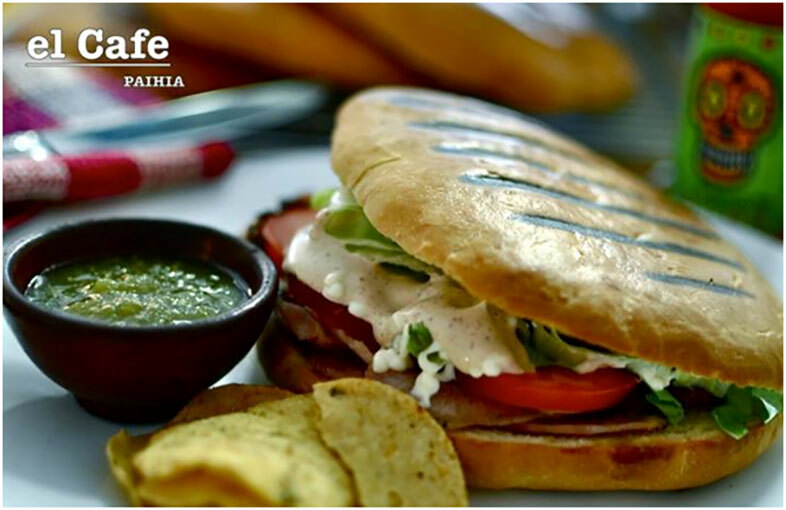 Enjoy breakfast and caffeine injection at a local eatery. A white coffee is referred to as a ‘flat-white’, New Zealand’s world-leading espresso style coffee – is a must try! Most cafes are no-frills but with food cooked well, and many have a view. Then jump on the passenger ferry and float across the stunning harbour for 15 minutes, to the quaint historic town of Russell. During the early 1800’s when early European settlers were developing the area, Russell was planned and promoted as a shipping town. Thanks to the undesirable clientele, Russell used to be called, “The Hell Hole of the Pacific”. But don’t worry – Russell is completely the opposite now in terms of elegance and charm. 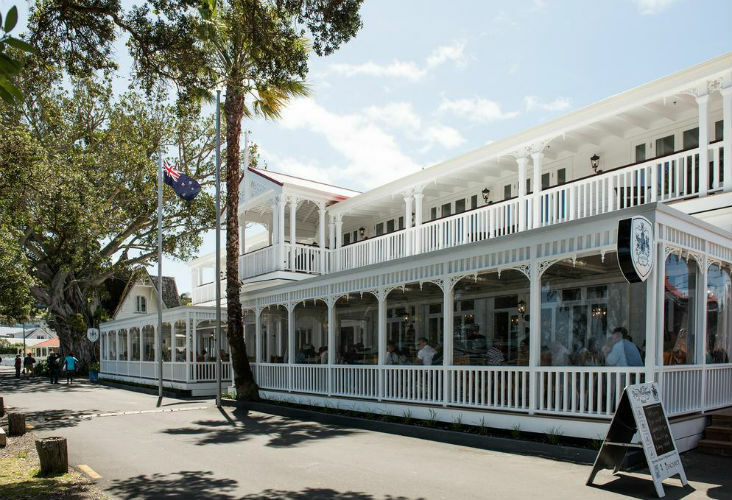 No stop here is complete without a delicious lunch at the historic Duke of Marlborough hotel. This old pub is a New Zealand icon, once serving wild whalers, rugged traders and prostitutes! Today it’s home to a warm, opulent hotel and award-winning restaurant where culinary delights await. 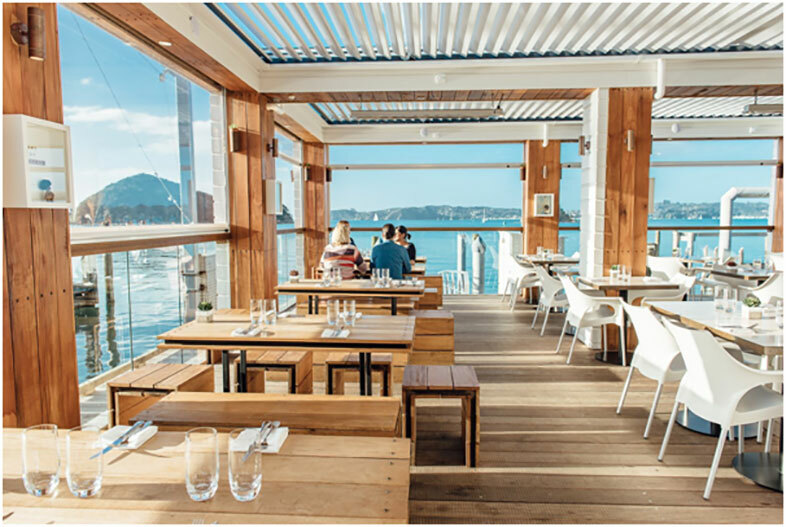 We recommend trying the fresh local kaimoana (seafood), and enjoy a sneaky glass of local wine while lazing on their deck, over the quaint harbour inlet. Later, spend the early afternoon wandering the streets and seeing more of what Russell has to offer. You can easily navigate your way to and from some of New Zealand’s oldest and most significant historic buildings using the street signs that remain intact, from 1843. Depending on how much time you’ve spent at lunch (or how much vino has been consumed! ), you could attempt to climb Flag Staff Hill (an hour return trip on foot). Just take the track west from the boat ramp along the beach at low tide, or head up Wellington St. The 360 degree views are worth the effort! Back in Paihia, for your evening entertainment we highly recommend dinner and cultural events hosted at the Waitangi Treaty Grounds. The Treaty Grounds (which includes the Museum of Waitangi) is essentially the birthplace of the nation, as the Treaty of Waitangi was signed here back in 1840. 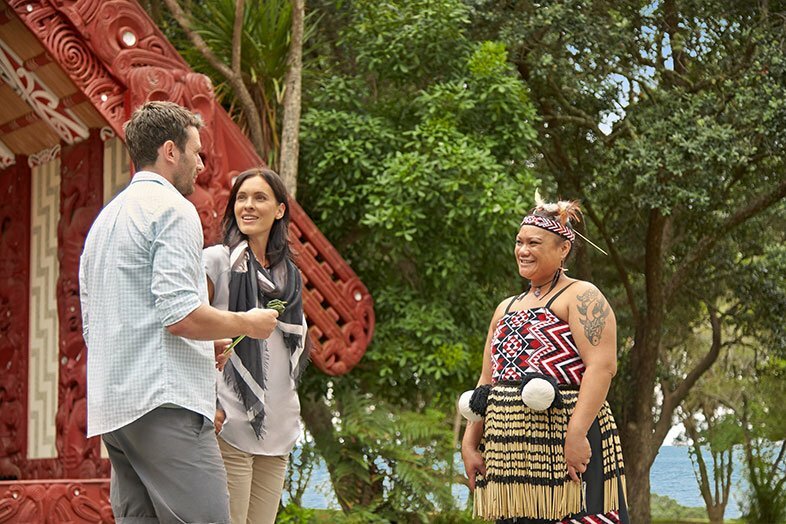 The agreement between representatives of the British Crown and more than 500 Māori chiefs has been a point of contention ever since, which you will learn about on your visit. Plus you’ll get to know more about meanings behind Māori protocol and culture. Along with insight into our rich history, it’s also a fun, immersive experience that kids will really love. 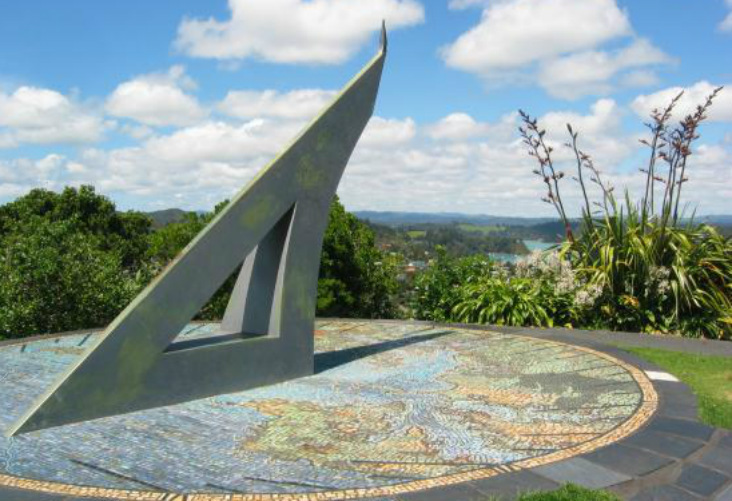 Depending on how much time you took in Russell, you can actually walk to the Treaty Grounds in 30 minutes from Paihia – recommended if you feel like a pleasant waterfront stroll (no hills!). Otherwise, a lift from Paihia is included in your ticket. 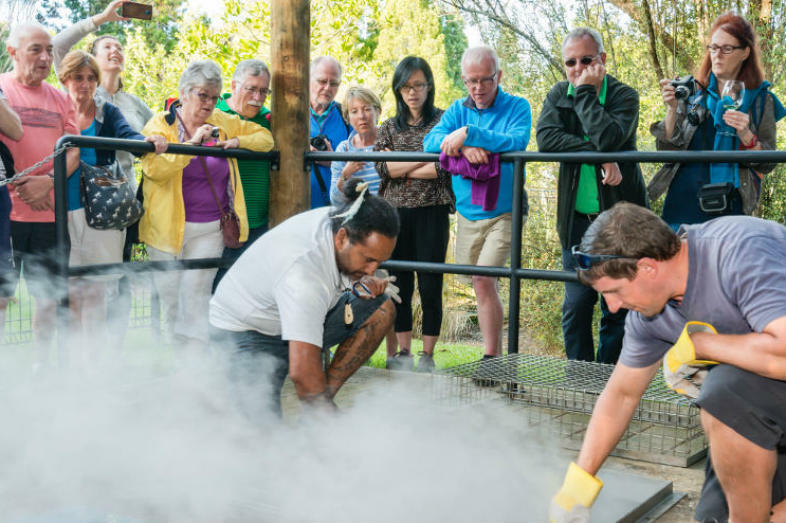 You’ll see the spine-tingling haka as well as other traditional performances, tour through native forest, and witness a hāngi meal being lifted from the earth, having being steamed all day using hot stones. The result is extremely tender, off-the-bone meat and vegetables, infused with a smoky fragrance. Mouth-watering stuff! Highlights: Day out on the water, Charlotte’s Kitchen. Tourists from around the world come to experience the natural beauty of the harbour – so you simply must include a day out on the water. After a sleep in, enjoy breakfast at one of the local cafes before jumping on your chosen day-cruise. There are a number of cruise options in the bay from various providers. The big guns are Fullers Great Sights and the Explore Group. Guided cruise with an incredible island stop for the day. Swim with dolphins (getting in the water is dependant on a few factors). See the iconic Hole in the Rock (conditions permitting your skipper will drive through it). There’s a lot to consider when wanting to swim with Dolphins –we’ve got a more detailed post all about it here. 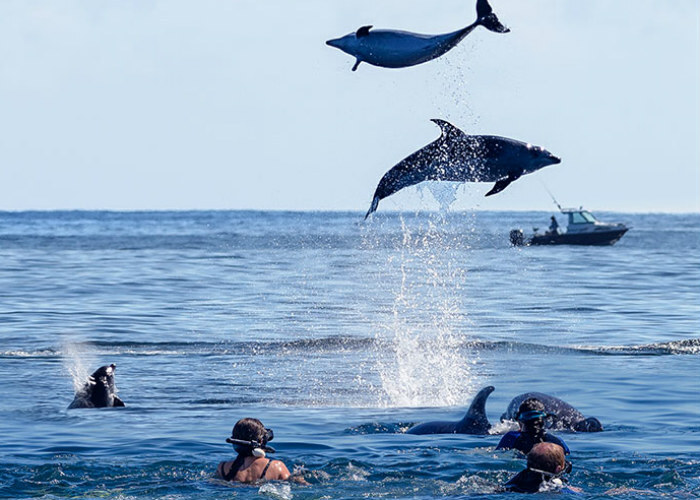 But most people who are lucky enough to jump in the water with them (under strict conservation policies), or even be near them as they frolic around your boat, say it’s the experience of a lifetime. Some tour options you’ll head out along the Cape Brett Peninsula to the historic lighthouse at the tip. 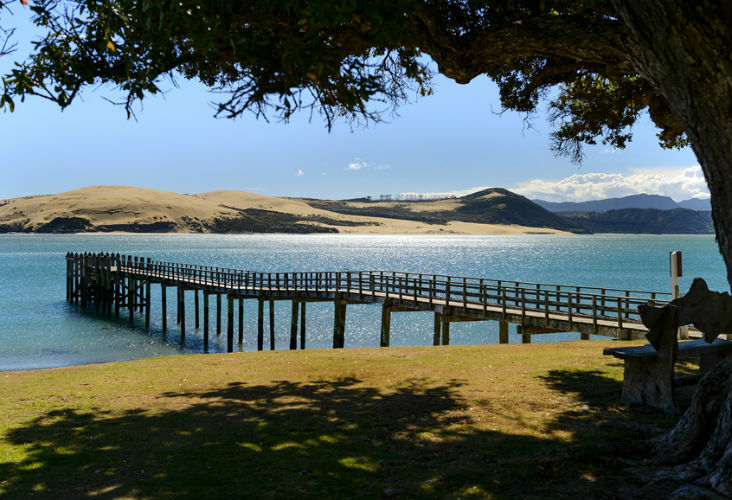 We believe a jewel of the area is the white-sanded beach of Otehei Bay, on Urupukapuka Island. Once there you can hire kayaks or snorkeling gear, relax on the beach, and walk up the hill for a breathtaking view. There’s a small café on the Island too. Read more about this and other islands (there’s actually 144 in total) in our blog post about the top BOI beaches. In the evening treat yourself to some fine dining (make sure to sample some local wines). You can choose to disembark a day cruise at Russell. If you do, enjoy one of the other waterfront restaurants for dinner – top picks are The Gables or Sally’s Restaurant. 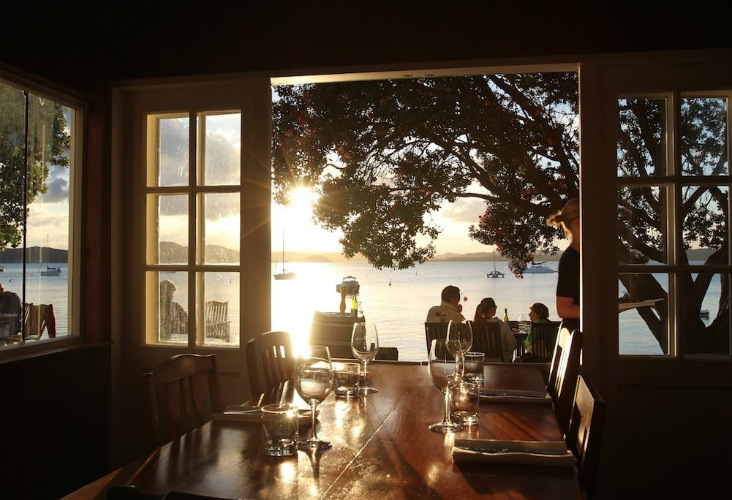 If you’re back in Paihia we’d recommend the celebrated Charlotte’s Kitchen. Try to book a table near the window. Highlights: Horse trek, shopping & fish’n chips at sunset. 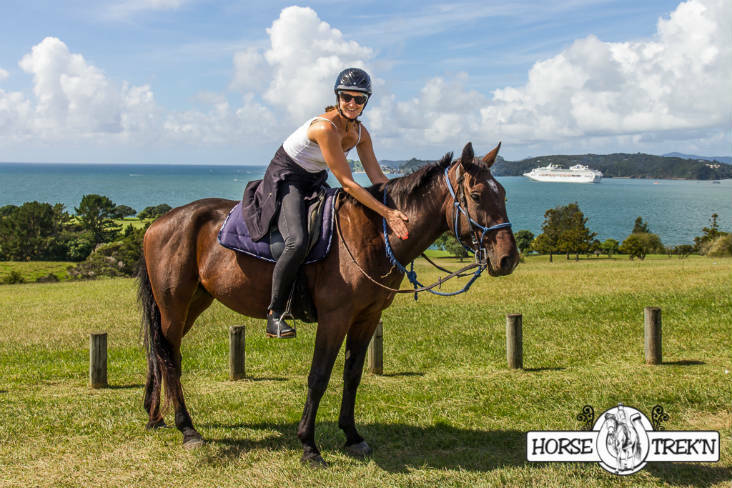 On your third and final day enjoy a hearty brunch, then it’s time for an outdoor activity with a twist – the Bay of Islands on horseback. Whether you’re John Wayne in waiting, or not experienced and a tad nervous on horses (like most people), this adventure caters to all riding abilities. Local guides horse trek’n know their stuff and have been guiding tourists of all levels for years. There are three options to choose from all taking 1-2 hours. Ideally you’ll have a car to drive there, as the base is 5 minutes out of Waitangi. Otherwise you can grab a local taxi. For your final evening, grab togs and a beach towel, and enjoy a swim, then good ol’ fashioned Kiwi Fish ‘n Chips on the Main Beach in Paihia. Watch the sun go down across the Bay, and plan your next trip. Or you can decide spontaneously over a local wine to extend your holiday and try some the activities listed at the bottom of this post!. 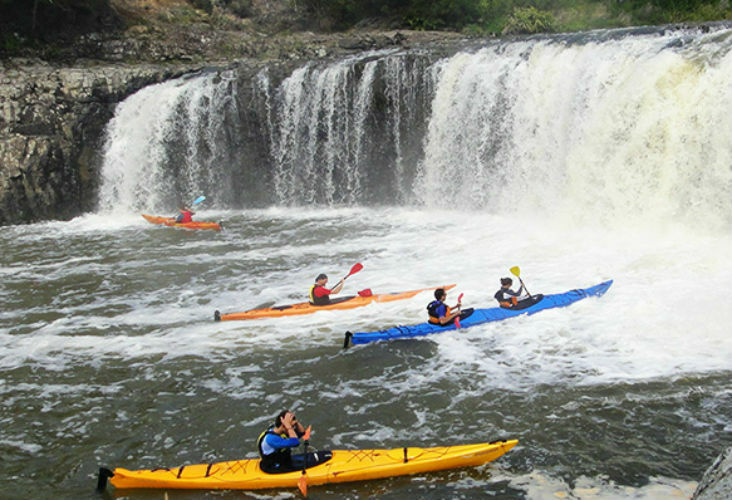 If it’s only drizzly (that is, not pouring) grab some wet weather gear and walk from Waitangi to Haruru Falls and enjoy the spectacular view, then go kayaking right underneath the waterfalls. For kayaking hire or other kayaking tour options have a look at our blog on the topic. Plus the experienced local operators will have all the wet weather gear you’ll need. Read more about waterfalls in the area – always better when there has been some rainfall! There are luxurious options in the area. Have a browse through our wellness guide in the Bay of Islands which also includes a detailed section on ‘pampering’. You deserve it! Consider a day where you tour local vineyards and taste local vintages. Read our blog about the local wineries, to narrow down your options. 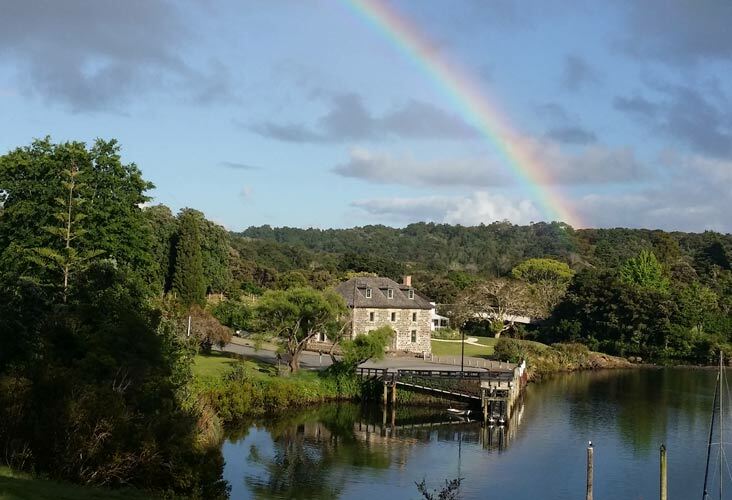 Kerikeri is a charming township, 20 minutes drive inland from Paihia. Browse the high street shops and find original artworks and artisan produce. Don’t forget to indulge in some luxury chocolates at the Makana store, or locally-made limoncello at the artisan farmers markets (operating most weekends over summer). Yum! A trip to Kerikeri is not complete without seeing the historic Mission Station, set right on the river. Mission Station was established in 1819 by Samuel Marsden after Maori leader Hongi Hika invited the European missionary to set up there – a gesture quite unique at the time. There’s are a number of fun things to take advantage of in Kerikeri (more detail on that here). Substitute one of our recommended activities or extend your stay. Great with heights? See the water from the spectacular perspective of the air with a parasail, or even higher – a plane! 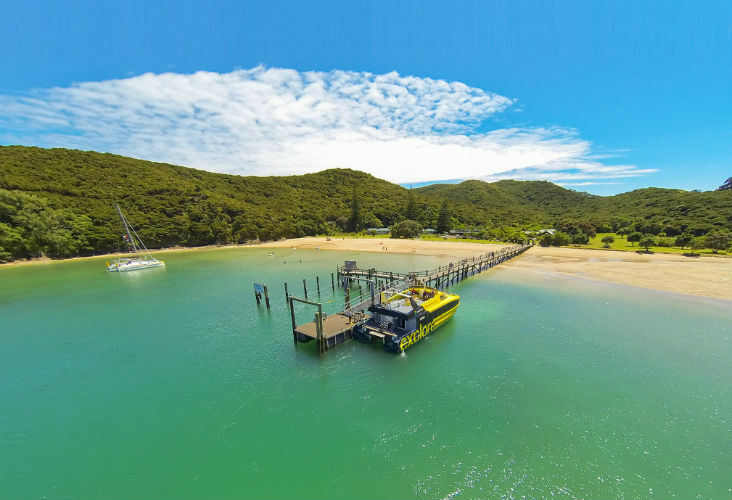 With our friends at Parasail New Zealand you can choose a single, tandem or even a triple person ride. It’s an experience you’ll never forget. Or book a scenic flight. And if you’re keen to take an even bigger leap …. 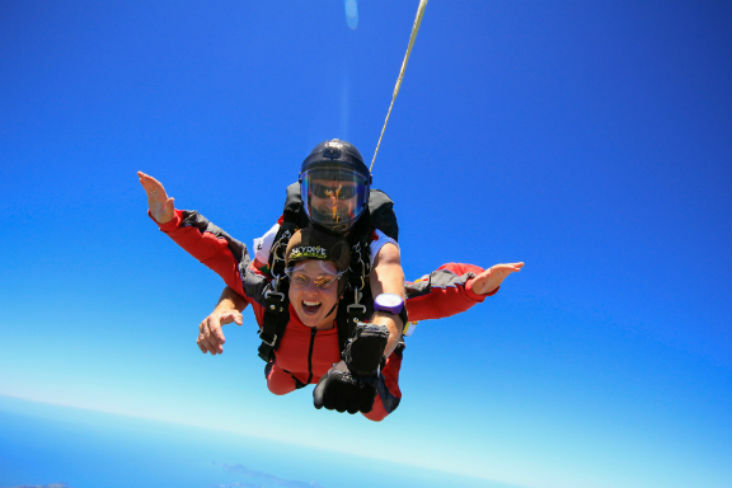 from 16,000 feet or so, visit our mates at Bay of Islands Skydive. From peaceful strolls to multi-day hikes, check out our blog on this topic to choose the right track for you. If you’re a scuba diver, consider a dive tour to Matauri Bay and dive the wreck of the Rainbow Warrior. Check out our blog on diving in the Bay for details on dive tours, hiring gear, and importantly, the top dive spots. Tee off at the famous course at Waitangi or one of our other excellent Bay of Islands golf courses. Spend a lazy day by the sea shore. Choose from a number of gorgeous spots around Paihia and Russell, including Oneroa and Te Tii Bay, or a beach even more isolated. Temp yourself using our guide to the top beaches in the area. 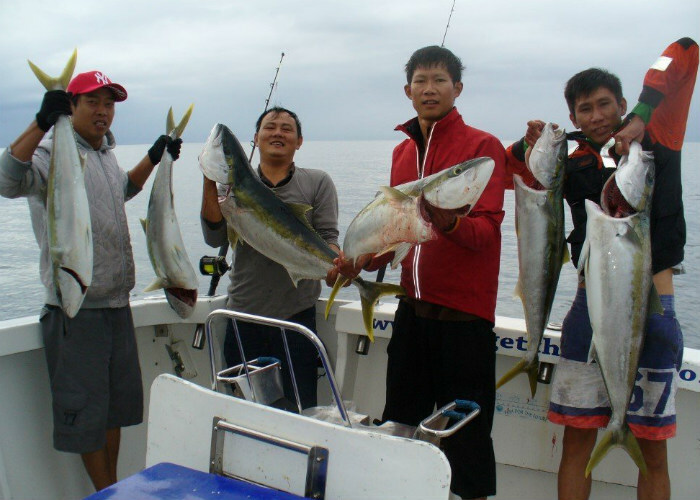 Charter a vessel and skipper and tailor your day, or jump on a fishing tour. Yep – we have a separate blog on fishing too! We hope you have a blast on your three-day stay, fall in love with the Bay like we have, and can come back for more one day soon.